Lustra is made in England in the same time honored tradition as the premier polish Briwax, and of the same blend of the finest natural carnauba and bees waxes. Lustra is formulated by one of Europe’s premier makers of fine furniture waxes and developed for Lustersheen to be above the best. Lustra emulates the “premier” polish Briwax. LUSTRA, A FINE EUROPEAN, HARD FINISHING WAX. The Clear is clear. Lustra Light Brown is formulated to duplicate Briwax Light Brown (P-7). 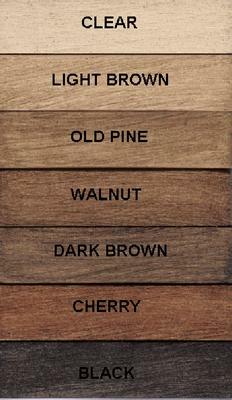 Old Pine is formulated to duplicate Briwax Rustic Pine. Lustra Walnut is equal to Briwax Tudor Brown. Dark Brown is the same in both products. Lustra Cherry emulates the reddish Briwax Teak. Lustra Black is original to Lustra, and it is true black wax. In Briwax the match would be Ebony. Lustra is a pigmented wax. As such, none of the Lustra colors will change the color of an existing finish to the color of the Lustra below. Lustra will “tone” a finish in the direction of the Lustra color. This will vary on the porosity of the finish and substrate. With unsealed woods, the coloring affect can be more dramatic, particularly when the substrate is opened by sanding, as in the sample below. Wood should be sanded with no finer than 150 grit sandpaper. The finer the sandpaper used, the less color you will achieve when using tinted LUSTRA. Apply a small amount of wax with steel wool or a soft cloth in direction of the wood grain. LUSTRA blends easily and won’t leave lap lines so you can proceed & stop as you like. Allow to dry 2-5 minutes before buffing. Heat from friction is the secret to the rich luster of the LUSTRA finish. Use a clean. soft cloth; 100% cotton (T-shirts), 100% linen (dishcloths) or nylon pantyhose are all terrific buffing cloth choices. Rejuvenate cabinets easily with LUSTRA. Clean away dark, sticky build-up, scratches & watermarks in one step. Apply appropriate color LUSTRA with #00 steel wool, let dry & buff with soft cloth. For all surfaces, Unfinished and FINISHED. *Always test in an inconspicuous place first. Work in small areas and apply LUSTRA sparingly with #0000 steel wool or soft cloth. Allow to dry 1-3 minutes & buff with a clean, soft cloth to desired luster. 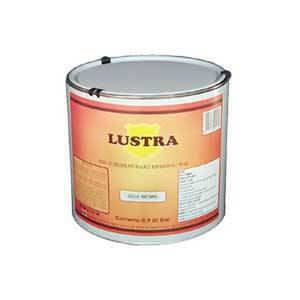 LUSTRA can be used on wood floors for a beautiful luster that resists scratching & never yellows. 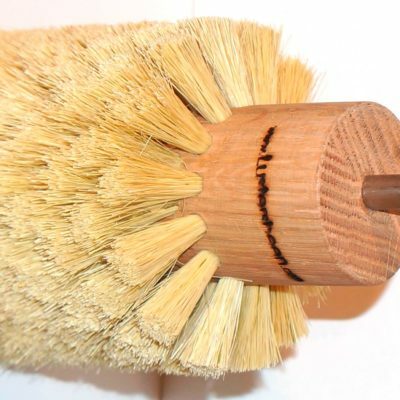 Apply LUSTRA sparingly with a bristle brush, #000 steel wool or a soft cloth to small areas (24 sq.. inches) at a time. 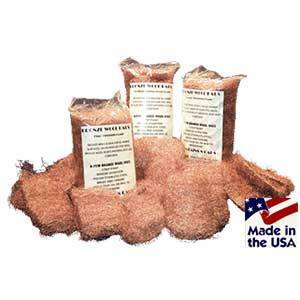 Buff with a clean, soft cloth or electric buffer to a rich sheen. Existing wax build-up or problem spots can be remedied with #0000 steel wool and LUSTRA. Eventual wear areas can then be easily filled in with a re-application of LUSTRA thus saving hundreds of dollars in refinishing costs. *Use fine steel wool and clear LUSTRA. Work half of the spot rubbing with the grain. When spot begins to disappear, stop & buff with clean, soft cloth. Continue with other half of spot. 2-4 applications may be required. *Be patient and save the original finish! Use LUSTRA in color close to piece being worked on. Work in small areas, 8-12 inches, using #0 or #00 steel wool working with the grain. Let dry 1-3 minutes & buff with a clean, soft cloth. Old finish and LUSTRA will blend bringing new life to the existing finish. LUSTRA WILL SAVE THE PATINA, REMOVE DIRT, WAX & STAINS WITHOUT HARMING YOUR ANTIQUES. These precautions are most important to review and are applicable while Lustra is fresh in the tin and when the solvent is evaporating off during application. Once the solvent has flashed off, what is left behind are safe waxes. This material is flammable & may be ignited by heat, sparks, fire or static electricity. do not smoke while using. Avoid contact with eyes. if direct contact with eyes occurs, flush with clear water for at least 10 minutes and seek medical attention if irritation persists. Avoid inhaling vapors. Use in a well ventilated area, preferably with a fan and open window. Using a dual cartridge respirator makes a great deal of sense when applying in a confined area. This is true of all products of this nature. These are inexpensive and no proper home workshop should be without one. The solvent may dissolve plastic and Lustra may harm linoleum surfaces. Keep container tightly closed with metal lid. The plastic lid is for shipping protection and to secure the metal lid. 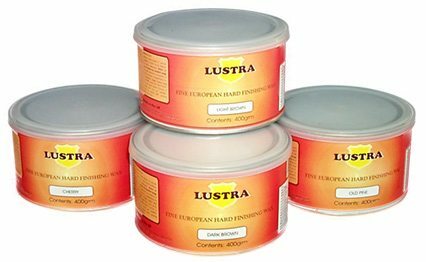 Lustra is a very safe polish and finish, but has not been tested for food safety. 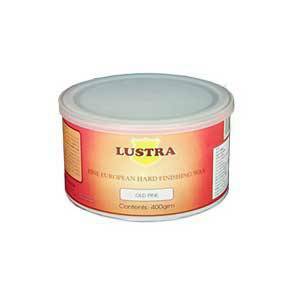 Thus Lustra is not an edible finish and not suitable for food contact or for toys. Lustra will liquefy in warm weather. Use caution when liquefied. Refrigerate for 20 minutes to restore to its’ original paste state. Stirring is unnecessary. Quality & efficacy is unchanged. TREAT YOUR ANTIQUES, FURNISHINGS AND WOODWORK TO THE FINEST !! !